A freezing night but one of the most spectacular and exciting moments of the week. 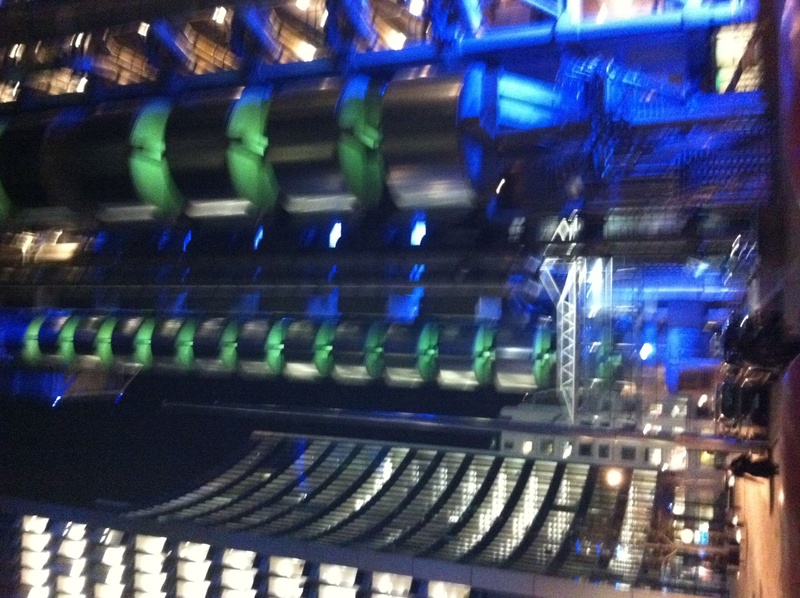 Here is the Lloyds Building next to its recently-completed neighbour the Wills Building. This is the centre of new building in the city. Lloyds is now more than twenty-five years old and it overlooks the site of two new buildings: Leadenhall also known as the ‘cheesegrater’ and the Pinnacle, both of which are after a delay of a couple of years, now on site.